In October 2017 I began a new journey in my life and career, to refurbish a 17th century French manor estate and open my own boutique hotel and wedding venue. After years of planning wonderful UK weddings, but praying for the opportunity to plan some abroad, I decided to take the leap across the chanel and go it alone. And what a journey it's been so far! Since being here, one thing I have noticed about the french wedding industry is it seems to be slightly behind the UK, and the UK is behind both America and Australia. There are a few things that as a wedding planner really wind me up - chair covers and coloured sashes, barrels used as tables, and restrictions as to what part of the venue can be used when. My number one bugbear, however, is that as you and your wedding party are departing the venue the dext day, the next wedding is arriving. This is what I call ‘a wedding factory’ and I think it can ruin those last few precious moments with your guests. 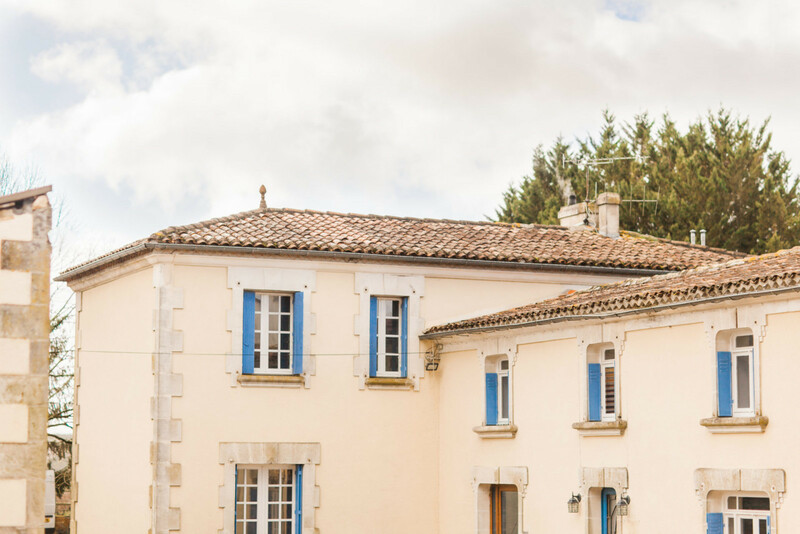 Having a wedding in France, or certainly here at La Vue, this is avoided as we host whole wedding weekends, with plenty of quality time with guests both before and after the day itself. Couples who want to get married abroad tend to do so for a number of reasons; it's less formal, it feels like a holiday, it has better weather and you spending more time with loved ones. It can, however, be a bit daunting; the language barrier, restrictions set by venues and not knowing where to start with finding your suppliers. In order to feel confident, you need to be able to trust the venue and the people in it. I recommend you start by looking at weddings the venue has hosted previously and considering if you like the general style and vibe. Do you like the way they run weddings? Do they seem open to creative suggestions? Planning your wedding abroad may seem a little more difficult than in your home country but it should be much more fun and allows your guests to really embrace time away with friends and family. The people you choose to work with initially are the people that will get you down the aisle and therefore make the journey what it should be - fun, organised and efficient. Every wedding should be different, they should be personal and embrace the trends at that time. 1. Before starting your search for a venue ensure you have your list of likes and dislikes for the basis of your wedding. This may seem silly but if you then find a venue which has something that you dislike its not right for you. You’ll soon work out what you like and dislike. 2. Venue hunting- Search for venues across all platforms - social media and online portals. Just keep one thing in mind; online advertising is a business. Venues can pay to be featured as ‘top venue of the month’, but it doesn’t objectively mean that it is. Narrow your search based on transport links, accommodation options and location (close to the beach, amazing views etc). Then request a skype meeting, ensure you can see yourself working closely with the person within the venue who will be your main contact. 3. Ask the venues about which locations on site they would suggest using. Here at La Vue we ensure you use every part of the venue so your guests don’t feel like they are using the same space more than once. Whilst having this conversation also ask about their recommended suppliers list (so you can check them out) and find out if it's ok to bring in some external suppliers too. Some venues will have contracts in place. Narrow down your selection and then make a trip to view those venues and try to imagine your guests in the space. 4. Once the venue is booked take out wedding insurance, don’t assume the venue will cover this as wedding insurance is different and you need to cover it yourself, even more so when relying on public transport such as airlines. 5. Ensure your wedding is planned with your guests in mind. Create an itinerary that they will love and talk about for years to come. Make sure the day itself flows from one event to another- don’t spend too long on drinks reception, research the time of sunset (and therefore golden hour) to ensure you're doing the right part of the day in the right space at your venue. 6. Book a trip to the venue and spend a couple of days staying at the property, I recommend this at my venue about 3-5 months prior to your wedding. This is the time when you should meet with all your suppliers on site , everyone can discuss the details in situ and then you should leave feeling assured that everything is in hand. You should also use this time to make decisions re food and drink, who’s going to stay where and extra activities- Maybe even do them yourself! 7. Pre and post wedding events, these should be just as magical as the big day because this is what makes a destination wedding different to any other! Spend as much time with your guests as physically possible- Pre wedding BBQ, Post wedding brunch, tasting experiences, unique events. We offer a brunch pool party to ensure the party continues, but can also arrange movie nights, on site tasting experiences and so much more. I hope you find this useful if you're considering getting married in France or elsewhere. I have been pleastanly surprised with just how big the wedding industry is in France. The suppliers are fantastic and work so hard throughout the year to ensure they are running great events and creating an impact. I would strongly encourage you to go for it! Just find the right venue and right team of suppliers and you won't regret it! The one thing I say to all of my clients both as a wedding planner and now as a wedding planner managing a venue is to be creative, don’t be scared to try new things and enjoy the process!